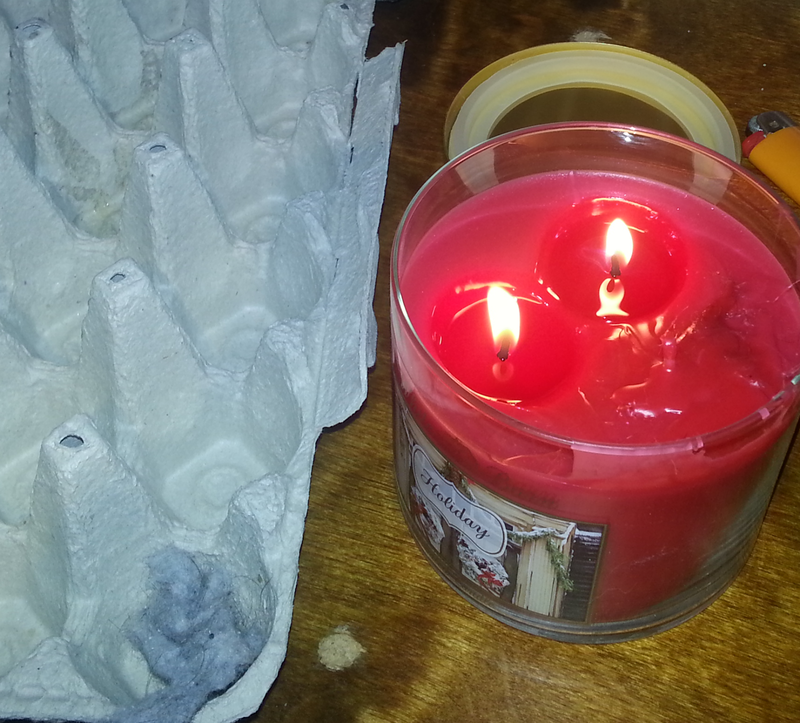 My day one project is Egg Carton Fire Starters. It is based on this pin from The Art of Doing Stuff blog that I spotted recently on Pinterest. I honestly didn’t expect it to work very well. Especially after I saw the finished product! It looked far from beautiful. But hey, store-bought fire starters are expensive and I had this huge candle my mom had sent me for the holidays, lots of drier lint and an empty egg carton. I spent about an hour or so filling up six of the egg cubbies. I learned on the first one to cut off the lid and place it underneath; by the end of the second I put down a silicone mat to save time peeling off the wax drippage, as well as cut apart the cubbies early on. 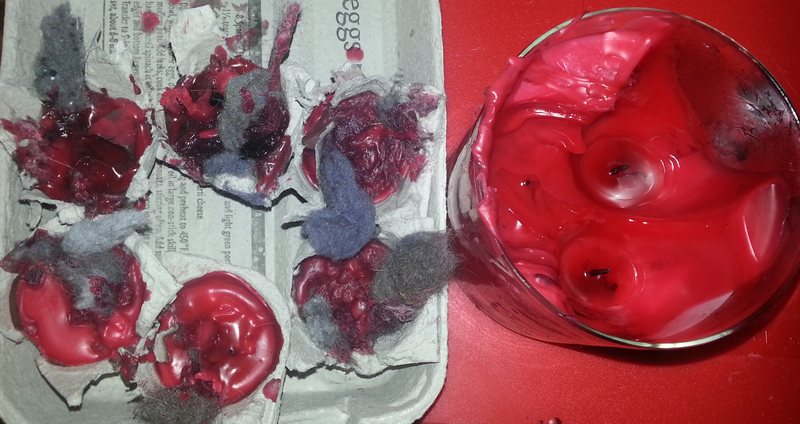 The end product is far from beautiful, especially when you have four cats that contributed their fur to the drier lint. Good thing these are intended to be lit on fire. 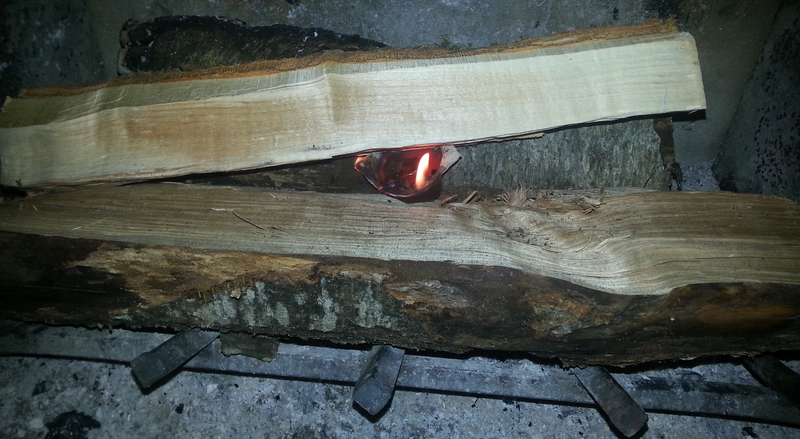 So I threw a few pieces of wood into my fireplace and added in the first fire starter I made. My expectation was that it’d light briefly but peter out fast once the top lint was gone. I was actually surprised when it stayed lit long enough for me to grab my phone and snap this picture. 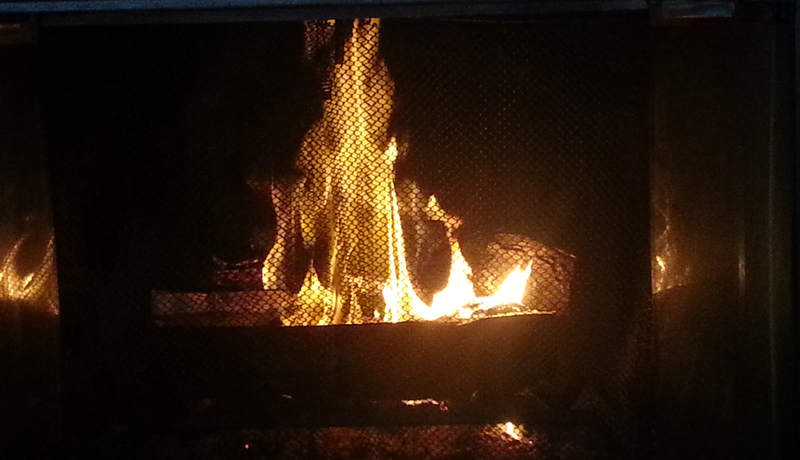 The fire just continued to grow. This was about 3-5 minutes in. 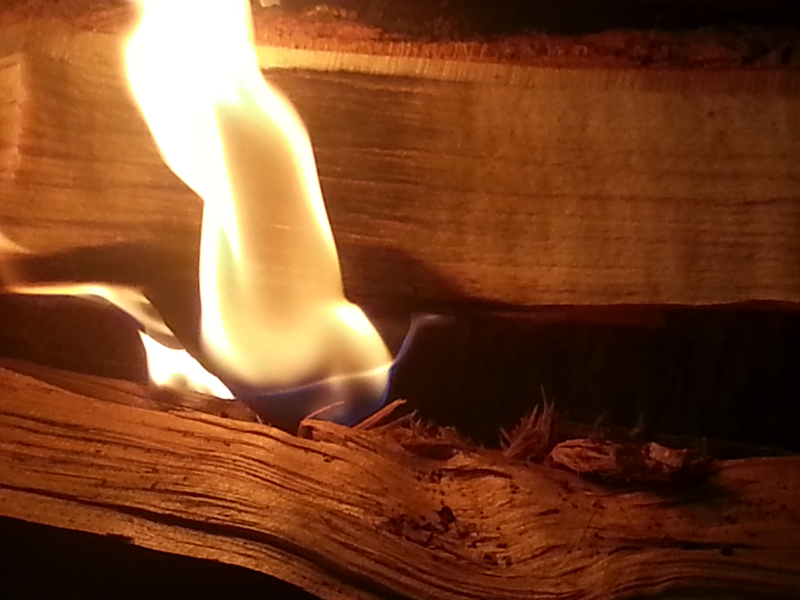 The normal store-bought fire starters we use rarely catch the wood this well this quickly. 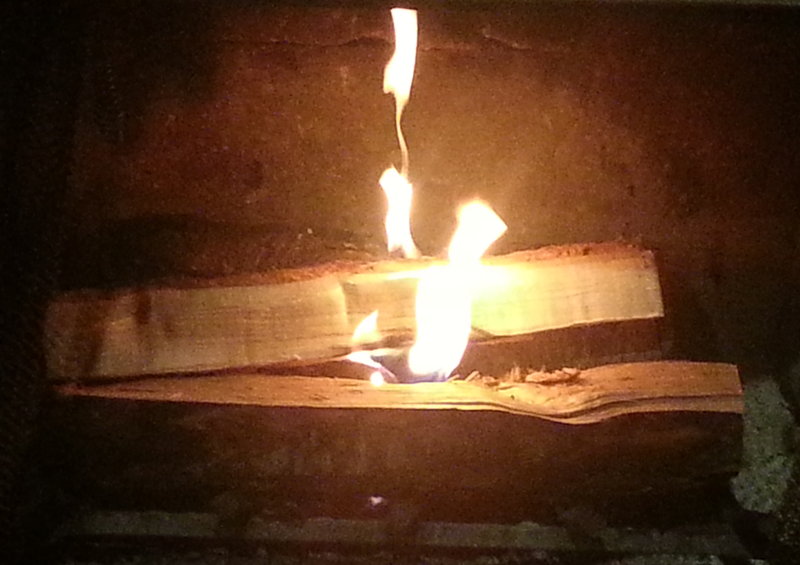 From this point on the fire just got increasingly larger. 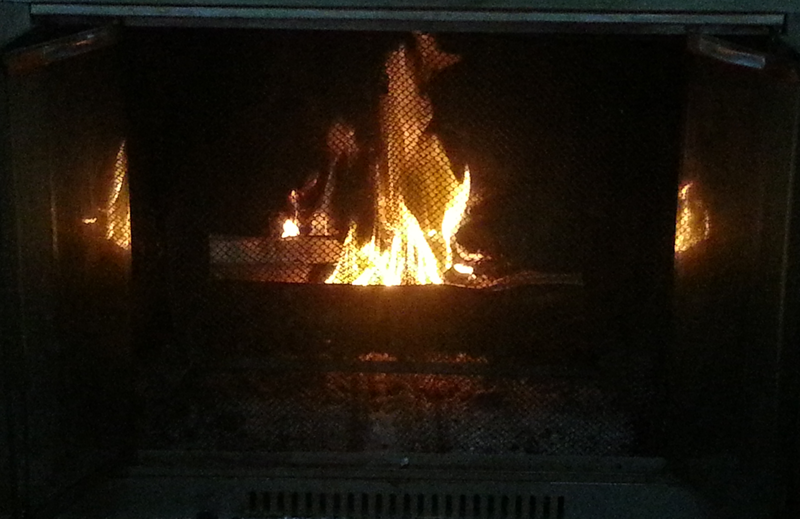 It’s currently nice and toasty behind me as I type this up. 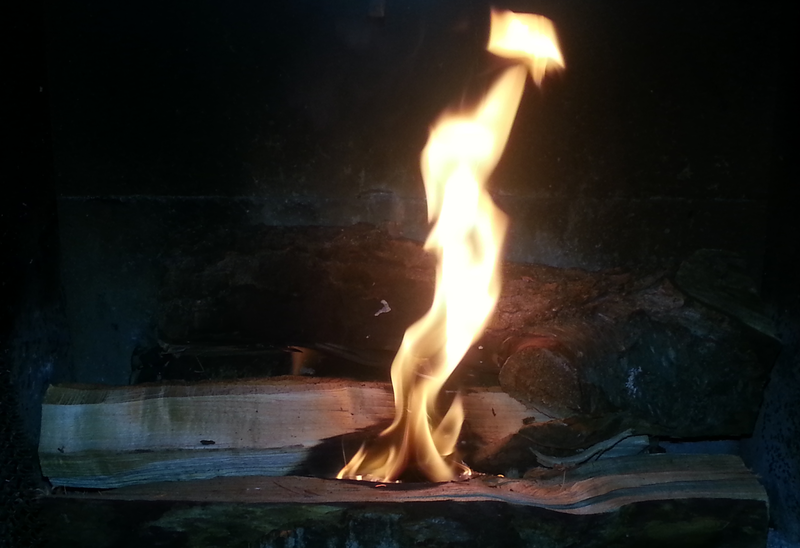 If you have candles, egg cartons and some drier lint (or similar materials) around your home and a need to light a fire, I highly recommend spending the time on this project. Tomorrow’s project should be paper beads. Happy New Year, everyone!